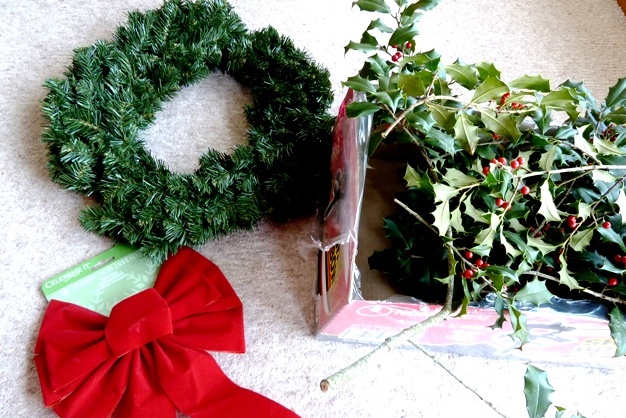 So what's a gal got to do when she's on a tight budget for her xmas decorations? (A) She uses what she already has; (B) She buys cheap stuffs; (C) She gets her hands dirty or (D) All of the above. 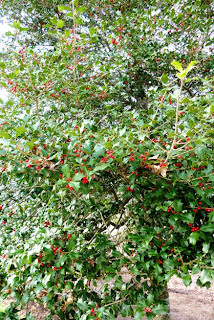 So using what we already have.....a big beautiful Holly tree in the yard! 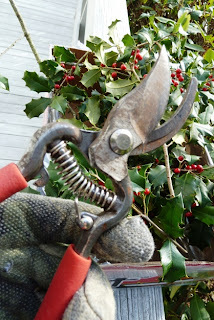 With a pair of pruning shears and a pair of thick gloves....I went about to trim off some twigs from the Holly tree. And at Michaels yesterday, I had bought a wreath for less than $2 and a big red bow for $0.99. The cost of Holly leaves/berries - $0.00. 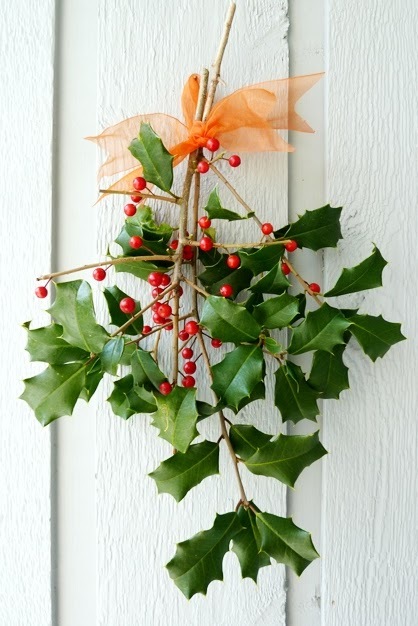 And the remaining holly leaves/berries, I just bundled up the twigs and tied a ribbon around them for hanging as wall decorations around the house. That is......errrrmmm FREE! Haven't been reading a while and it's so nice to see the cheerful posts here. The sunrise is awesome, and I like all the crafty work too. 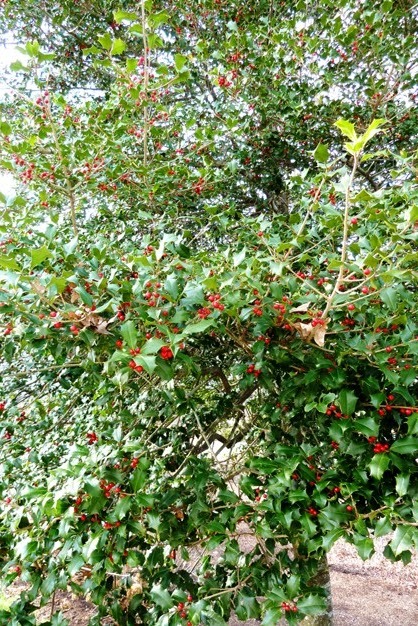 Please take pics of any birds that visit the birdhouse! Fabulous as usual. You have magical hands and a creative mind. 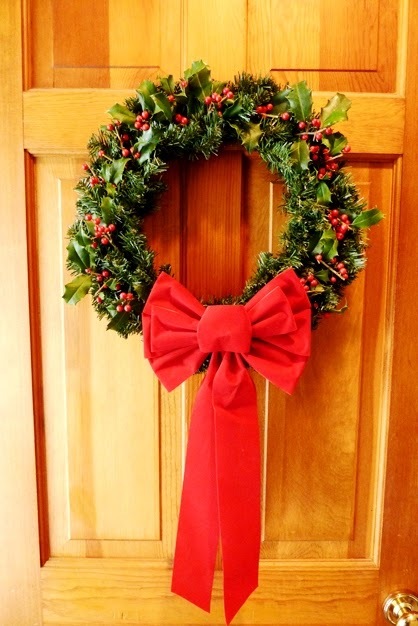 Love the wreath, looks stunning.